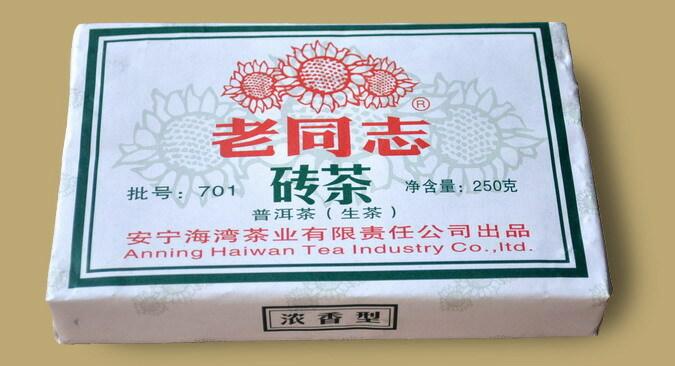 A fine green Pu-erh brick, produced by Haiwan Tea Factory in 2007. 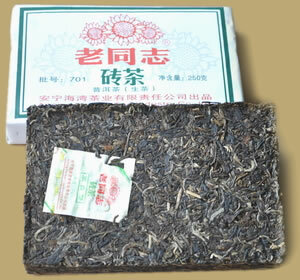 The tea has a pleasant bright yellow liquor, the taste is fresh, strong, and with a sweet aftertaste. 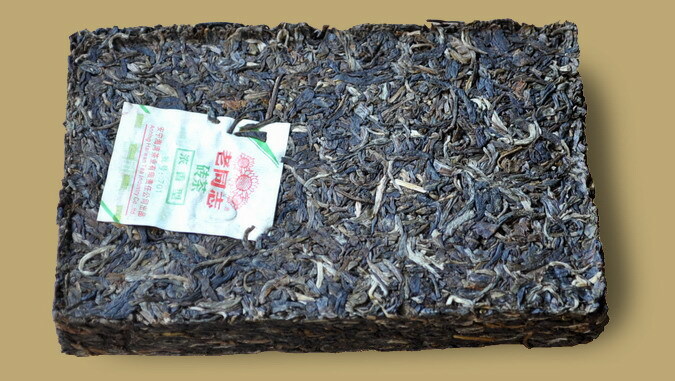 Like all raw pu-erh can be drank now or put away for further aging.